Incoming! New Shades of Chanel Illusion D'Ombre in Vision and Abstraction! Ooh, what's this, then? 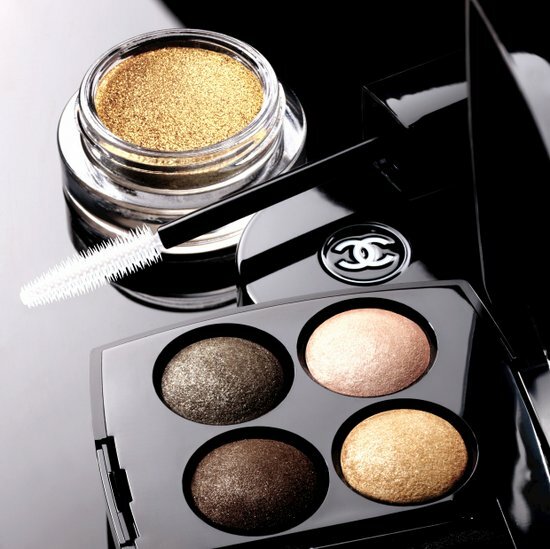 Could it be a brand new shade of Chanel's really rather fabulous Illusion D'ombre cream eyeshadow? What's that? It is? Well, move outta my way, I have shopping to do! These little stunners have the most wonderful texture - check out my review of Mirifique - and they wear beautifully. Initially released in six shades, a further two are coming our way as part of the Expressions De Chanel edit. This small collection focuses on the eyes and will launch next month. Pictured are Illusion D'Ombre in Vision, a gorgeous looking gold, and the chic neutral eyeshadow pallette, Les 4 Ombres in Intuition. A second shade of Illusion D'Ombre will also be launched - called Abstraction, this is billed as a natural rosy peach. Come payday, either Vision or Abstraction will be mine (they're €29, so I'm limiting myself to one!). I'm leaning towards Vision - what about you? Doesn't it look gorgeous? I really hope there are even more shades on the way! love chanel make up and also your blog! It's so nice!!! I follow you! OOOh I love the Illusion D'Ombres. Vision looks gorge! You're right- the texture is so great! I actually bought one of these on your previous recommendation & haven't been disappointed, it would seem miss Emma that you're trying to bankrupt me.... haha!